I like to check the general stores along the road. This one was in Elk, CA. I would like to mention one thing about traveling on Hwy 1 and 101: the number of bicyclists traveling long distance along the road. I’ve seen them anywhere along the Oregon and the California coasts. Frequent road signs remind motored folks to share the road with bicyclists. And the road is narrow most of the times, with no safe berm for them to ride. So they basically ride on the edge of your lane. It is dangerous but I bet it is one great way to experience the beautiful coast. By this time, around 3pm, I was starting to think about a place to spend the night. 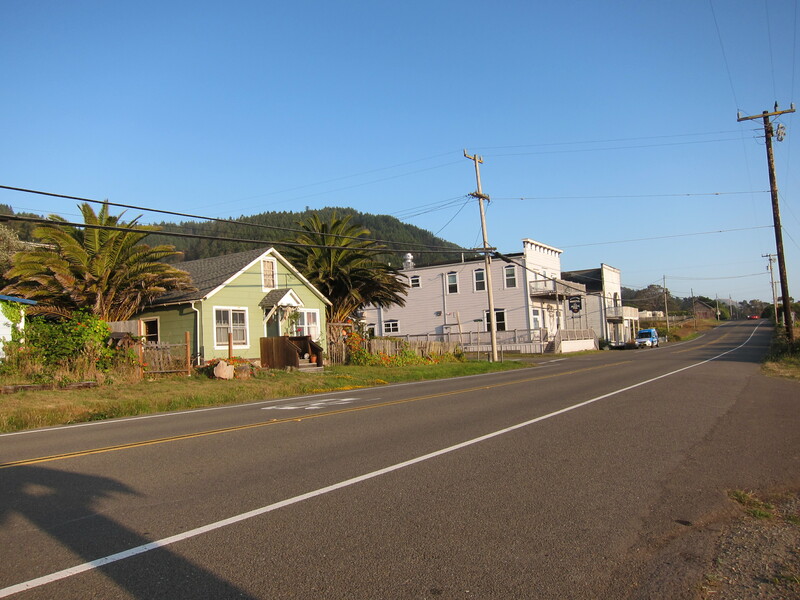 All these small towns along Hwy 1 have hotels. Some of them have seen betters days, others look good and expensive. I kept going. I wanted to cover more ground before I stopped. 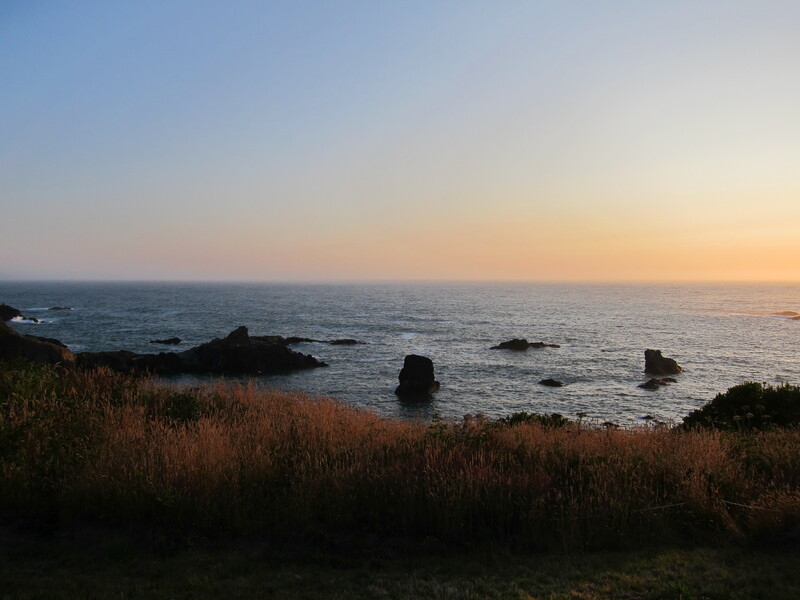 I went through the Mendocino area and at about 4:30pm I was in Fort Bragg. This is a larger town and it was about time to stop for me. But I checked for accommodations for the night and mostly what I saw were run down motels. I decided to take my chances and kept going north. 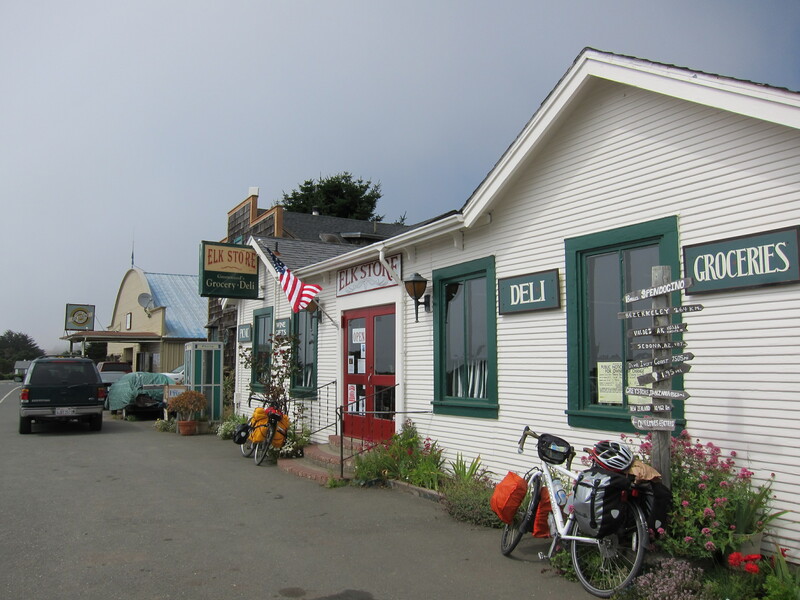 In 20 miles Hwy 1 would veer east and away from the coast, I wanted to find something that would still be along the coastal area. 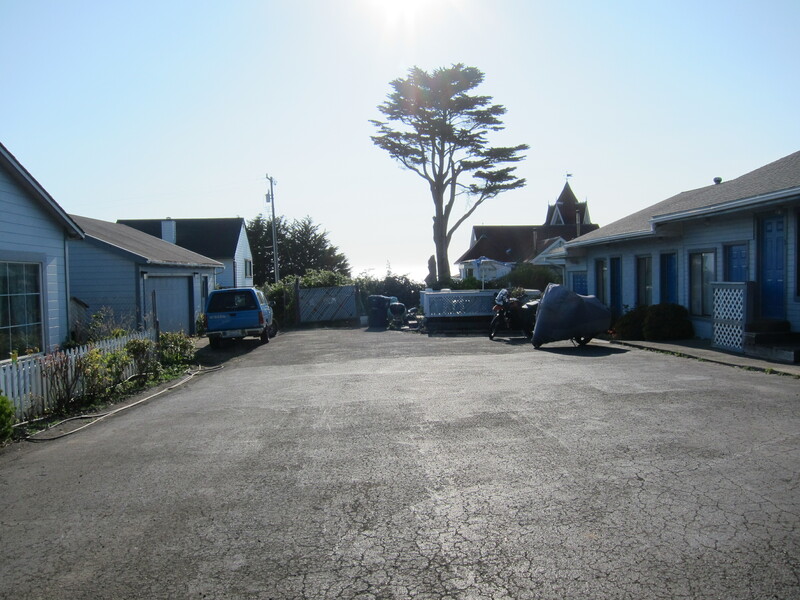 There were less towns going north, and eventually I got to Westport, CA. 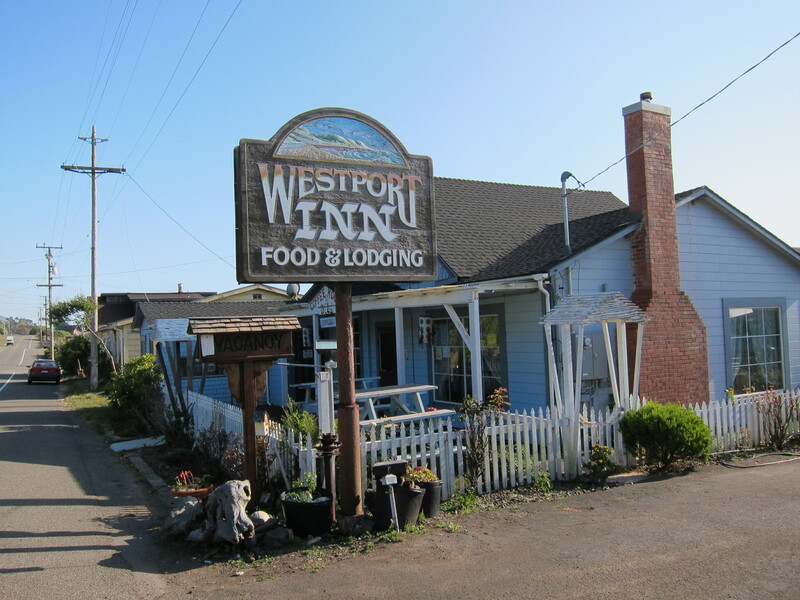 It seemed more like a ghost town, and when I approached the Westport Inn, I wasn’t sure it was a functioning hotel, so I did not think about stopping there. But as I was going past it, from the corner of my eye I saw a motorcycle in the parking lot of the hotel, so I turned around to check the hotel. I talked to the couple on the motorcycle, a V-Strom. They were cleaning it and told me the rooms were clean. I got a room there, still not sure it was a good idea or not. Well, it was for one night and I would continue the next day anyway. It turned out to be a great choice. I got to know a some more about this lost area of the California coast. This always put a nice flavor to the traveling experience. The view of the Ocean. 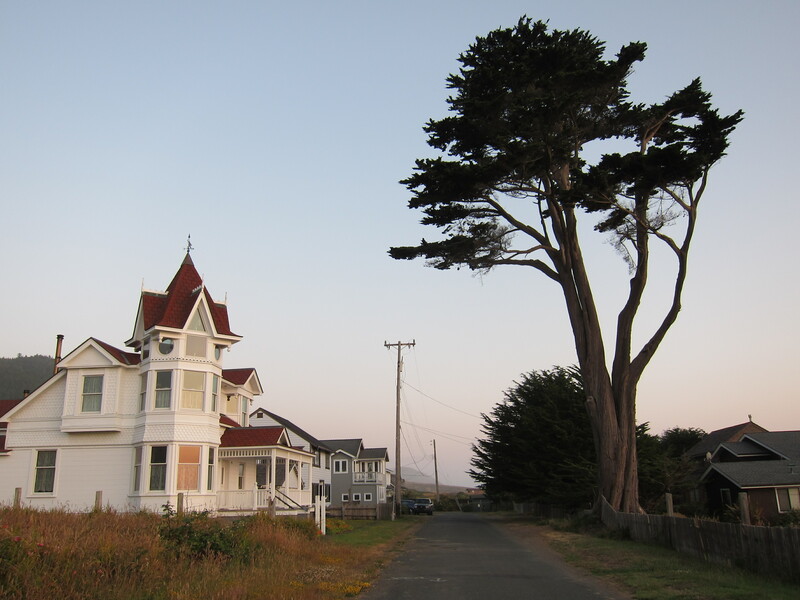 The hotel was just a small block away form the Ocean.The hotel’s abandoned look had a lot to do with the town’s abandoned look. The umbrella is going the way of the Cypress on the background. 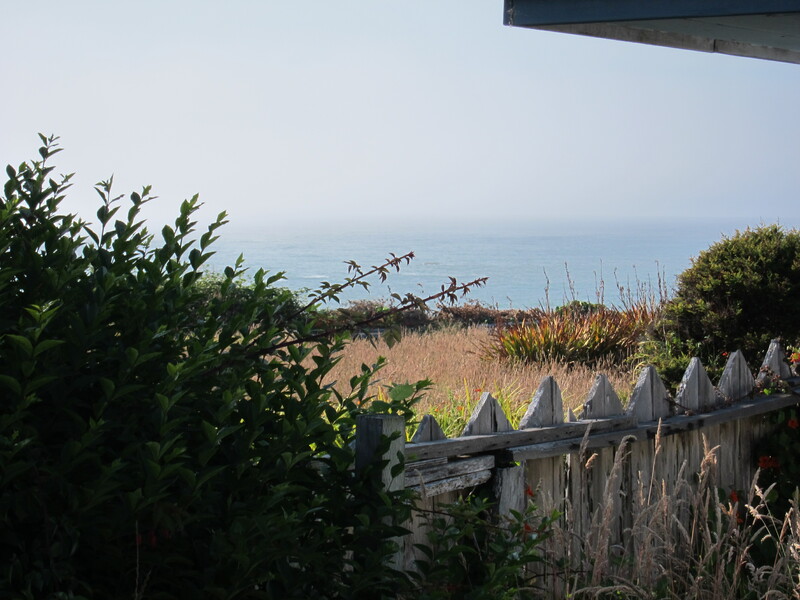 Closing up on the Ocean views. The view of the hotel parking lot, with the V-Strom under cover, and my Tiger showing off its beautiful shape and Orange color. The hotel is owned by Otto, an 85 year old who lost his wife two years ago. Although the sign says “food and lodging”, since his wife died food is no longer available. She was the cook and he proudly talked about his wife’s cooking. Although no food is served, Otto is famous in town for his latte. 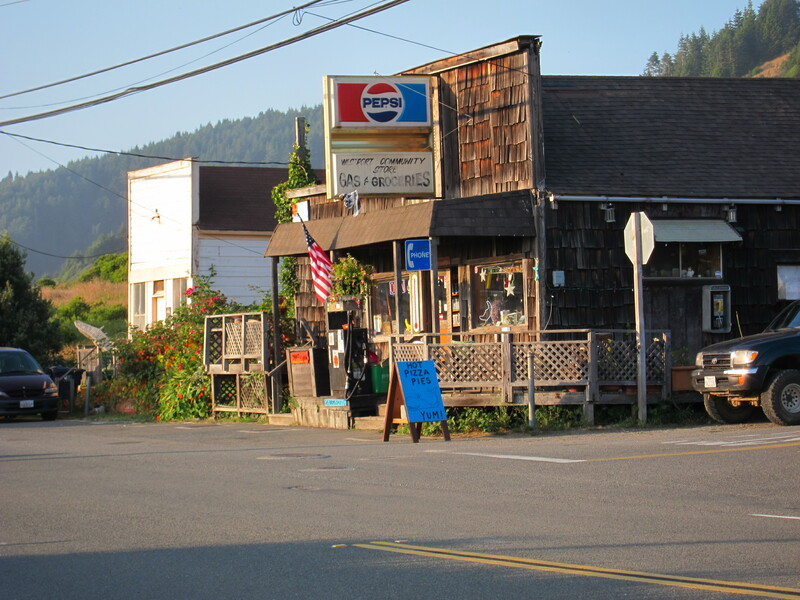 Otto recommended the only other establishment in town where I could get food: The general store across from the hotel. I took a quick shower and walked towards the general store. The store owner/clerk was an older lady, clearly an original hippie. I ordered a sandwich. She did not think it was odd that I did not want lettuce or tomato in it. She gained some points right there. I got a bag of chips and a beer and went outside to see the world go by as I waited for the sandwich. Not that there was much traffic going by at that time. No locals anyway. There were plenty of motorcycles going by and a few sets of Harley and cruiser groups stopped by at the hotel or the store. Everyone trying to find shelter as the sun approached its setting time. Anyway, I really enjoy sitting down for a beer with the feeling of “mission accomplished” after many miles riding through all sorts of terrain and landscapes. It is a reward, a celebration, making it is a special moment itself. It is another great component of what “going for a ride” means to me. This is my view from that perch. 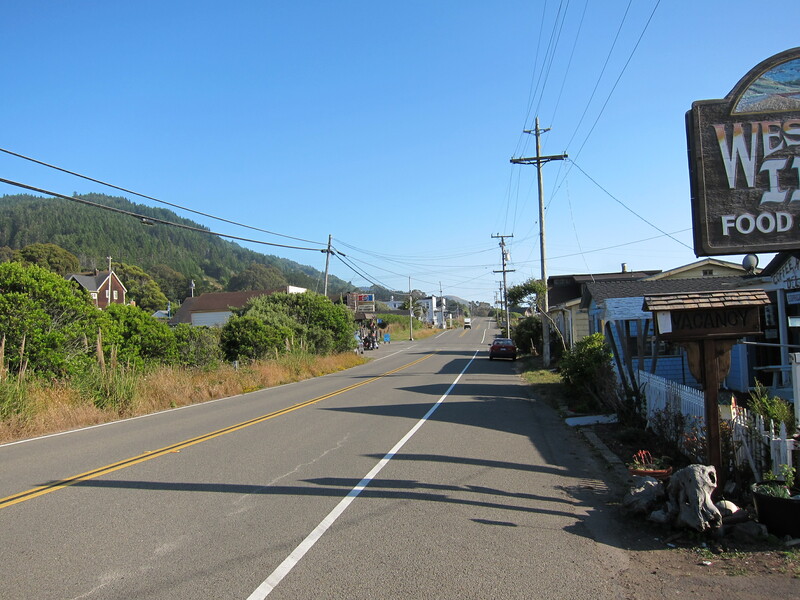 Looking south, the Hwy 1. The two riders on the V-Strom, Ken and Meredith, joined me on this nice perch. We talked some, had a beer together, ate our sandwiches together. Before the sunset I went for a walk to explore Westport. Not too much to see. But lots to learn. 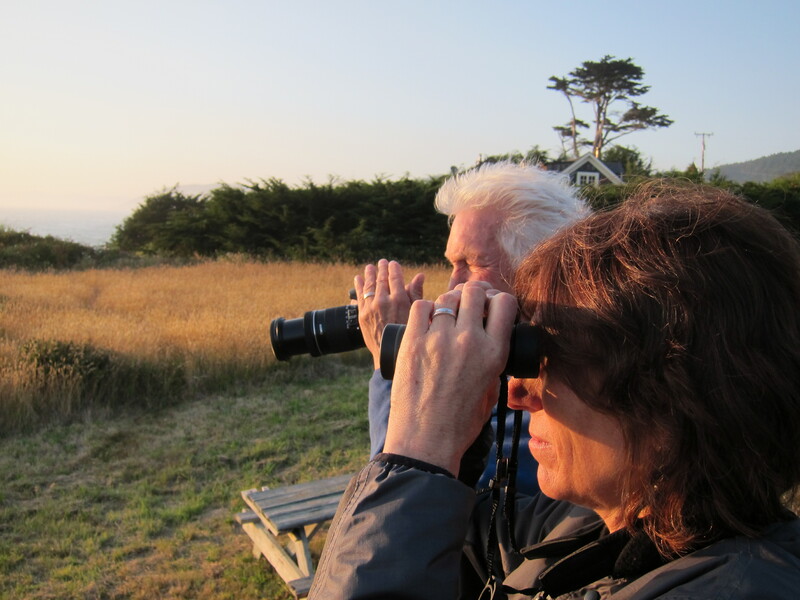 Ken and Meredith were checking for whales on a view point. You see the viewing area in the middle of the photo below. I joined them. Looking back at the town, from the whale viewing area. 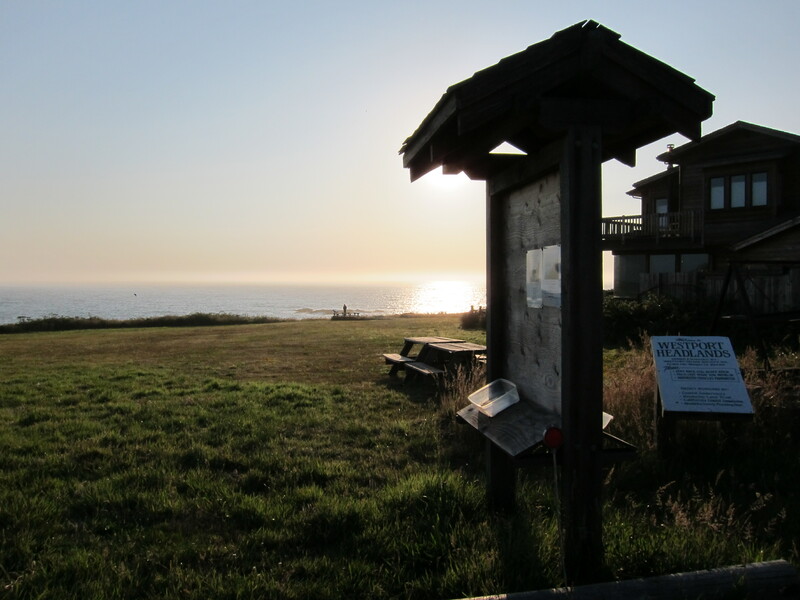 Looking south, at the nice coast, at the magical hour of the day. 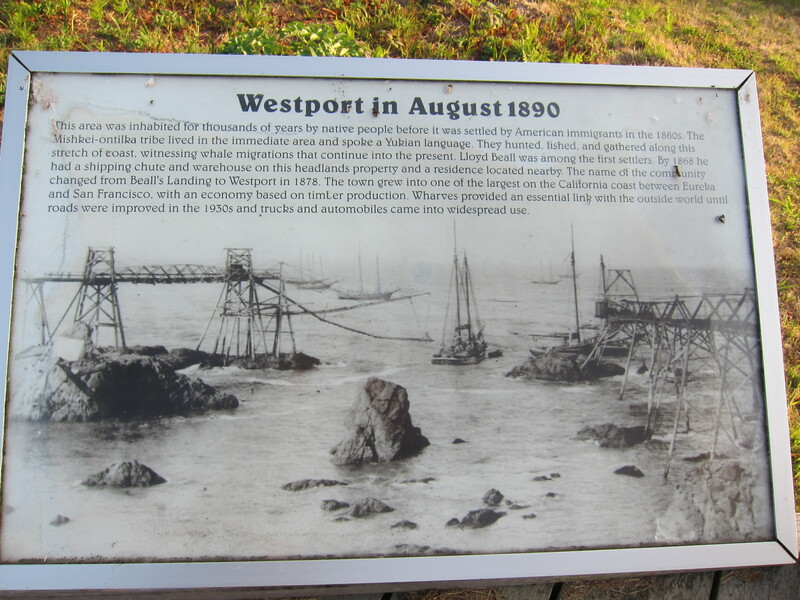 A bit of the history of Westport. To imagine this once was a port city, and that it was a great commercial area. Once the redwood was gone, and trucks became a viable transportation mode, the flimsy port city virtually disappeared, alongside the chute. The chute is gone. Looking at the ocean now, there is nothing left of the chute. The rocks are there, you can match them from the old picture to today’s picture. But it is hard to imagine any structure ever existed here. 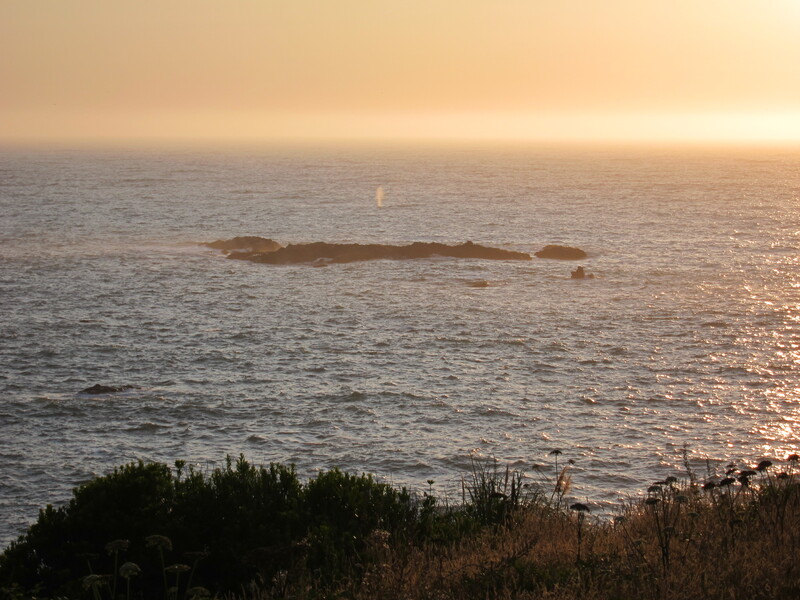 What really mattered is that a pod of whales, perhaps descendents of the ones the natives watched 200 years ago, was traveling south along the coast. Ken and Meredith, watching whales. 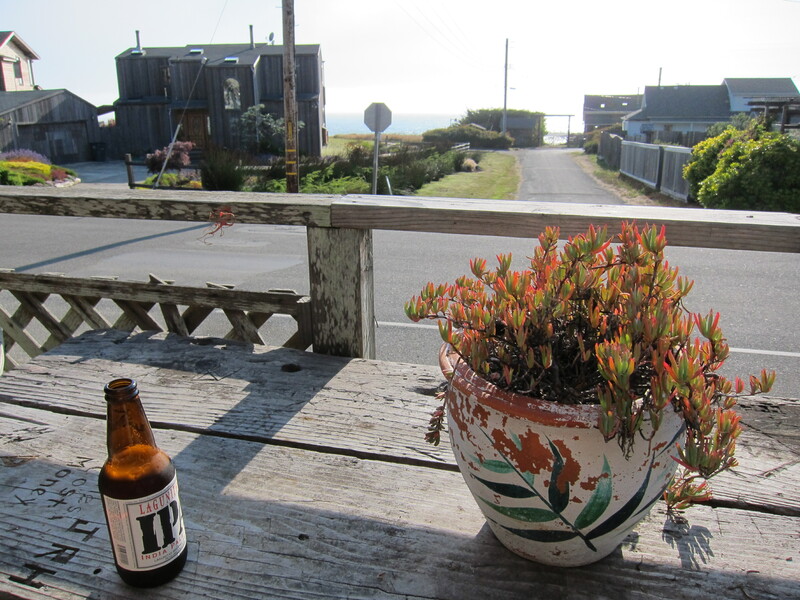 Westport, CA, July 26th, 2011. Walking back to the hotel, I went past some interesting houses. 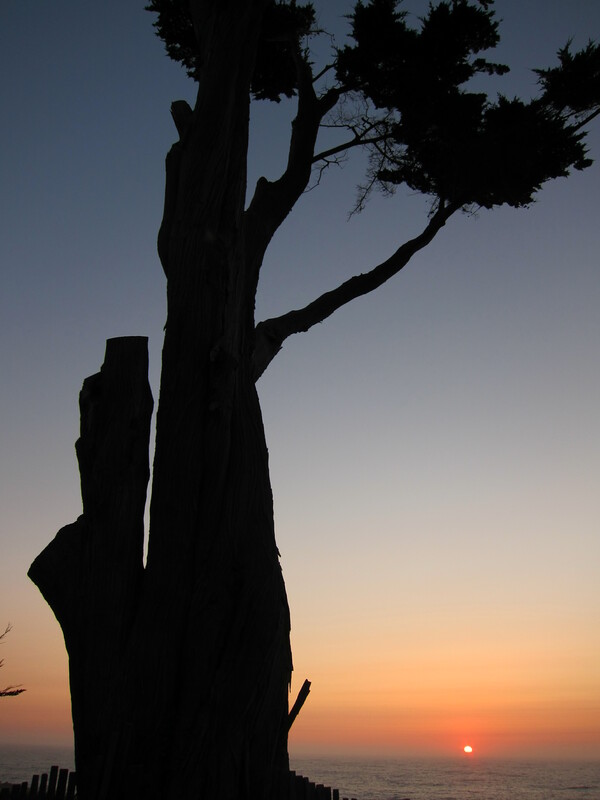 Continuing the walk, I went past the old cypress, the sun setting under its battered frame. 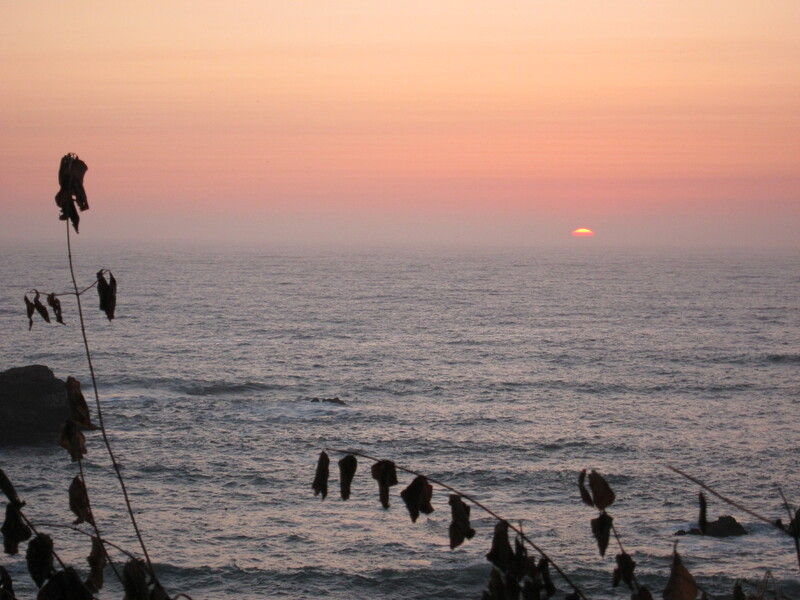 They, the Cypress and the sunset, must have been friends for a long time. As I walked in this not too busy street, one of the locals was arriving from Fort Bragg, where she worked. I asked her what was keeping this town alive today. She responded: “tourism and pot”. 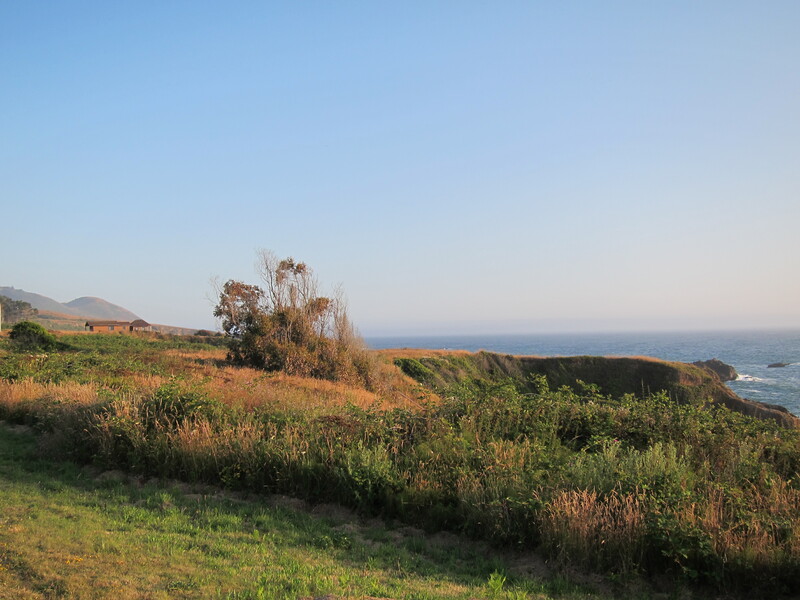 Easy to believe if you ever heard of the history of the so called “California lost coast”. 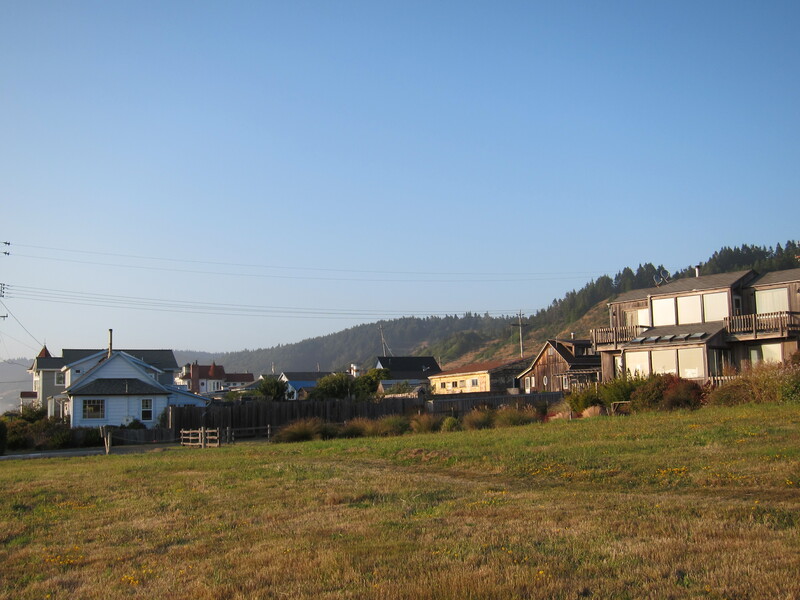 This history and region were recently the background for a film called Humboldt County (2008) where a medical student is stranded for a summer in a remote community of counterculture pot farmers in this area. 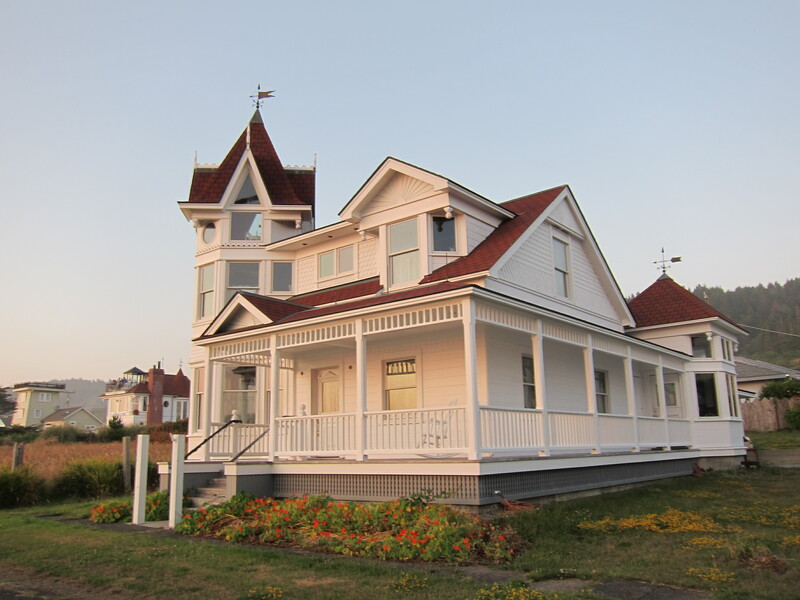 Back to Westport, it also serves as a bedroom community or a suburb for people who work in Fort Bragg. Meanwhile, the sun is saying good bye. Time to go to sleep and rest for another great riding day tomorrow. Tomorrow I will be entering the officially known lost coast itself. 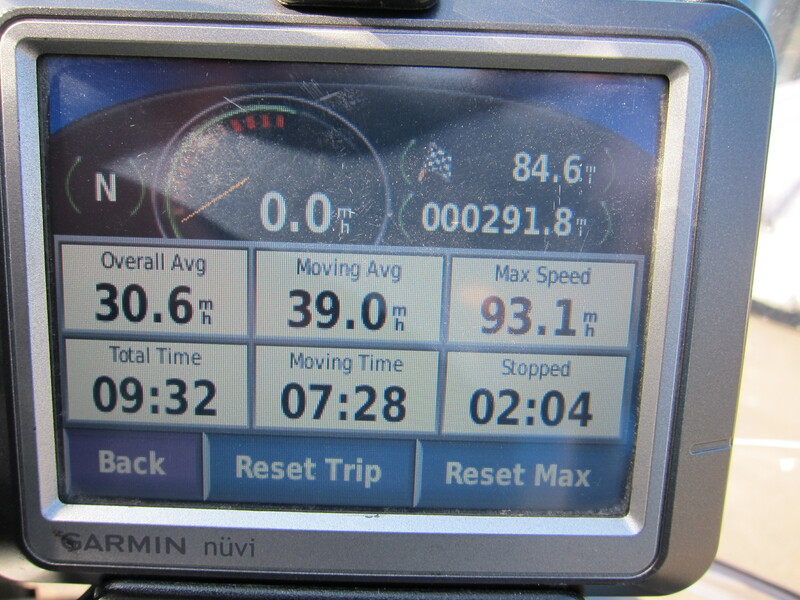 Stats for the day: 291 miles (467km). 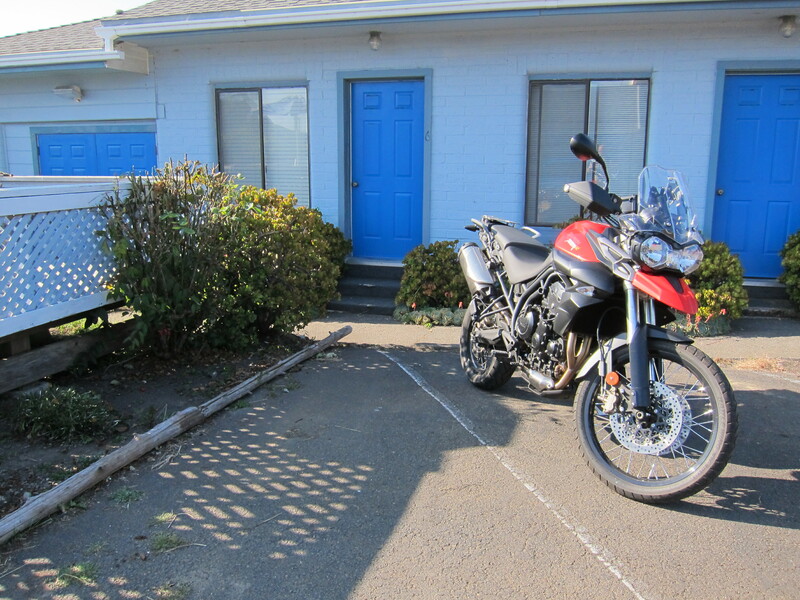 Next: Day 4, to Gold Beach, OR. 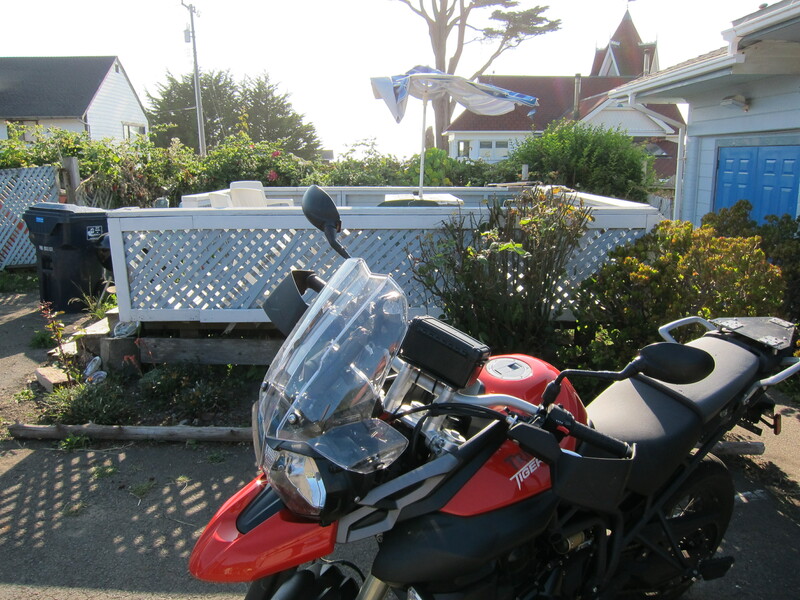 I found your blog after vacationing with my son and riding through Westport, California. I fell in love with the little, no frills town and long to go back. My son lives in L.A. so we spent some time traveling up the coast. I live in coastal Texas near Galveston–very flat, so loved the ocean and mountains. My husband would be so jealous of your bikes! He has an old Moto Guzzi, but yearns for a Triumph or Ducati. He is a Vietnam vet and also dreams of riding in S. America. I was happy to learn about Otto at the Westport Inn. Hope he is still around when we return. Thanks for sharing your adventures! Thanks for writing your note Sue. It is always good when I get to know a little bit about the people reading these stories. Westport was a special treat for me, one of those unexpected moments that happen when we travel, and with no plans, and/or by circumstances dictated by the trip, we end up in a place about which we had never heard before. Westport was one such place, and then I got to know some of the local people. About your husband, he should meet my good riding friend Doug, who has a few old Moto Guzzis, from the 30’s to the 70’s. Hope your husband keeps his Moto Guzzi, but also gets to buy a Triumph or Ducati. 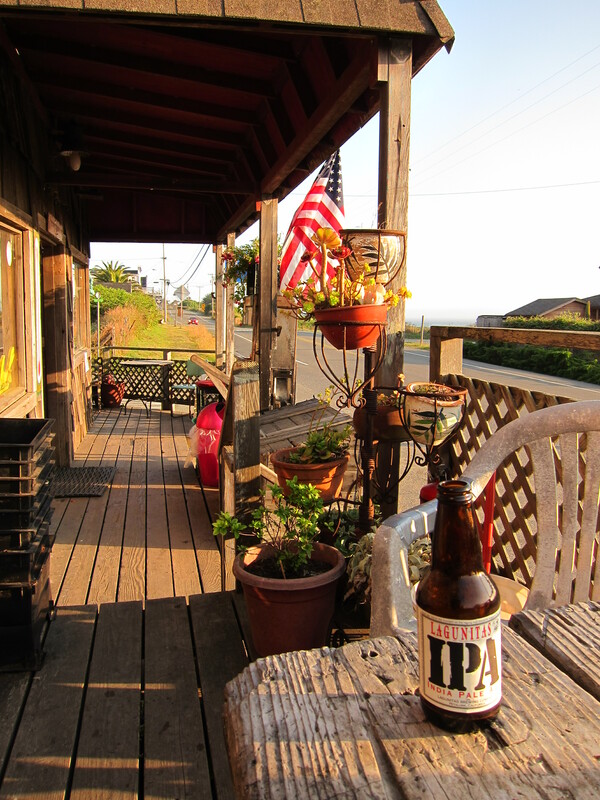 And yes, I also hope Otto will still be there on my next trip to Hwy 1. Does Doug live in Texas? Am sure Gene would like to see some old Guzzis. 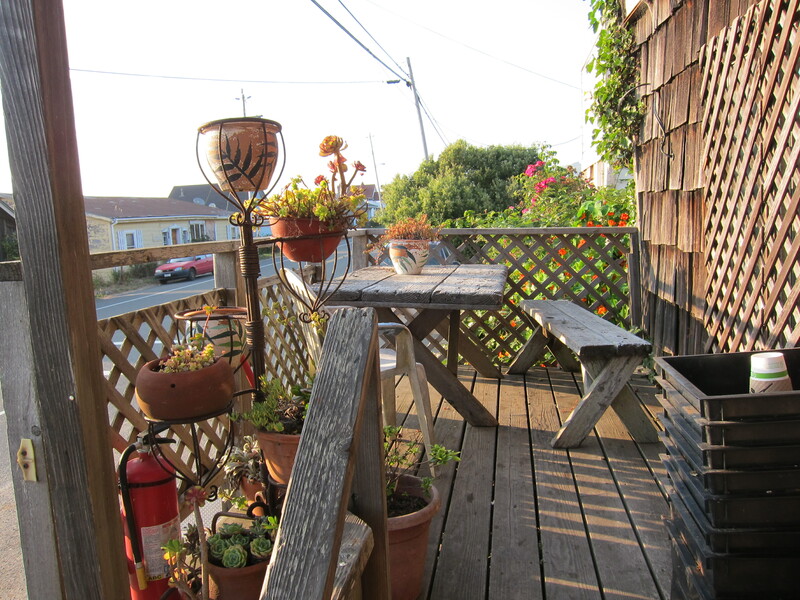 Yes, Westport was a gem and you are right about those unexpected moments. I was traveling with my son who is an actor in L.A. and a real nature lover so he loves to get out of “la-la land” and convene with the redwoods. He’s been all over California and took me to many great places, but it was those serendipitous encounters that grabbed me, like meeting Larry in Leggett who was sitting on a bench eating a pint of ice cream out of the carton at 8 a.m. one morning in front of a convenience store. He must have been 80 years old. We chatted with him and he was a sweetheart. 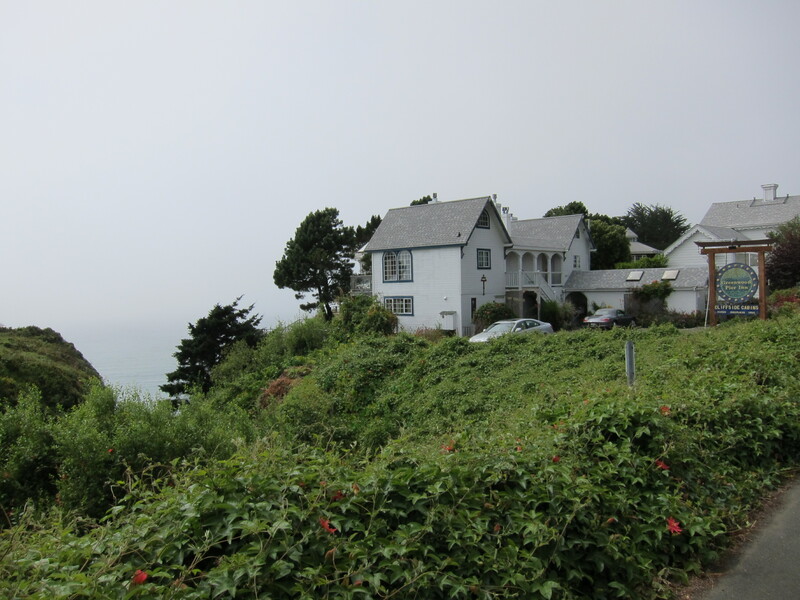 I did not really care for Mendocino–a bit too manicured for me, but most tourists like that. Happy riding! Yes, the manicured places, catered for mainstream tourism… they look good but lack the real atmosphere of the local travel, they follow the Disney World formula. A formula that works for boosting the economy on these places, but often they kill the real sense of discovery that, in my opinion, should come with travel. No, Doug lives in Oregon. Thanks Sue!